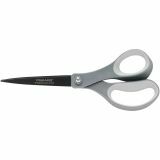 Softgrip Titanium Non-Stick Scissors 8"
Softgrip Titanium Non-Stick Scissors 8" - FISKARS: Non-Stick Titanium Scissors. 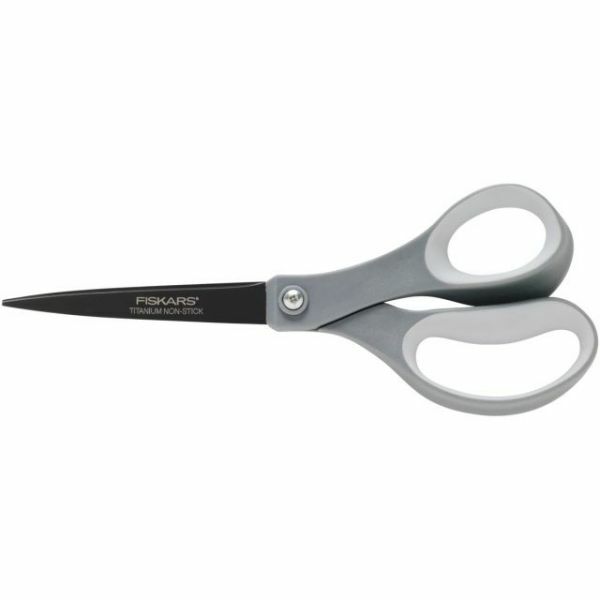 The stainless-steel blades of these scissors feature a titanium coating which gives them a non- stick surface. They can be used to cut a variety of materials including paper, vellum, and cardboard, as well as tape and other adhesives without a build-up of residue. The titanium also provides long-lasting durability, while the comfortable SoftGrip handles reduce hand fatigue when cutting. The blades have a cutting surface of 3-1/2 inches and the overall length is 8 inches. Each package contains one pair of scissors. Imported.